Thank you to everyone who read and shared last week’s My Mountain post. Barbara from Mom Trusted Choice is back this week with another parenting struggle. Pregnancy does sound like a pleasant experience, but it’s also quite a challenging one. The journey towards becoming a mother brings tons of joy as well as some discomfort. One such common problem is foot pain. And a frequently asked question related to this topic is, how I cope with pregnancy foot pain? Pregnancy woes are not uncommon to hear about. Having to deal with heel or foot discomfort can be quite painful and sometimes even annoying. But this is something you don’t need to worry about. Foot pain during pregnancy is a condition that can be remedied with some solutions. So I’m going to discuss the top 5 effective methods. But before I do that, let’s find out the causes of the problem. What causes pregnancy foot pain? The most likely reason why your feet hurt during pregnancy is weight gain. But there are more causes, so let’s find out what they are. Your baby in the womb might cause your body’s gravitational force to shift from its normal position. Thus, balancing all that weight while also maintaining the healthy posture can become difficult for your feet. Likewise, the natural physical stance of your body changes when you’re pregnant. And this change leads to straining the leg muscles. So your feet, calves, and knees give rise to painful sensations in the process. Pregnancy also triggers leg cramps, which can cause foot pain. 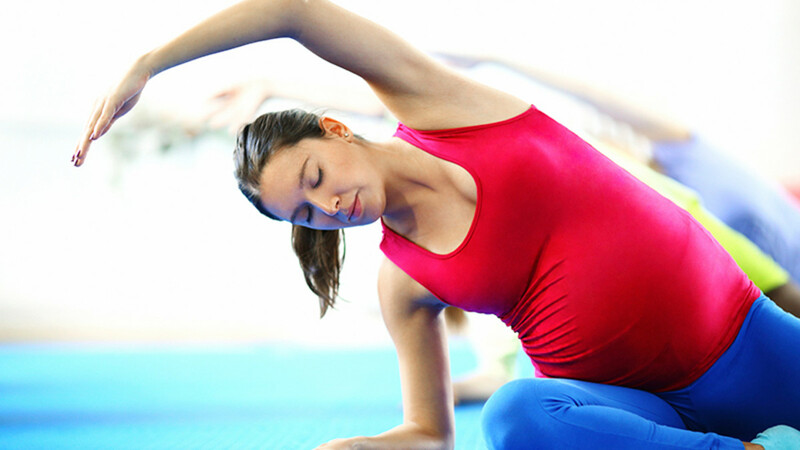 Pregnant or not, stretching goes a long way in strengthening your muscles. Now, this doesn’t mean sitting and reaching for the toes. Old people are supposed to do that, but you’re not old, are you? You’re just pregnant! Foot pain at night will be a thing of the past if you take up prenatal yoga. Once you start stretching, it helps in improving sleep, reducing anxiety and stress, and increasing endurance along with flexibility. And that’s not it. Prenatal yoga is also responsible for decreasing back pain, eliminating headaches, and lowering the chances of hypertension and preterm labor. So it’s only logical to assume that stretching helps you get rid of that constant foot pain. What operating room shoes are to doctors’ compression stockings are to pregnant women. But you need to wear them only during the last few stages of pregnancy. What compression stockings do is apply sufficient pressure on your leg muscles to keep the blood circulation going. Under normal circumstances, your leg veins are responsible for encouraging upward blood flow to your heart. But when you’re pregnant, conditions like weight gain or edema tend to interfere with the process. So at such times, compression stockings do an excellent job at normalizing the flow of blood in an upward direction. They reduce swelling and eliminate the chances of VTE (Venous Thromboembolism) and varicose veins. How I cope with pregnancy foot pain? Well, the answer is quite simple. You should wear the most comfortable shoes for swollen feet. Even custom orthotic inserts go a long way in providing pain relief. Faulty biomechanics of the body get highlighted when you’re pregnant, right? And that’s because of hormonal changes and weight gain. This applies to the size of the feet also changing. And sometimes, the change shifts from temporary to permanent. So it’s important to wear the right kind of shoes at such times. If you make it a point to support your feet most adequately, no permanent changes will take place. Overpronation is a common condition that women experience during pregnancy. It happens due to your feet rolling inward when walking. And this can lead to the formation of plantar fasciitis. So you need to make certain footwear modifications. These include wearing comfortable shoes or orthotic inserts. They keep your feet aligned while distributing the weight evenly to prevent pain. Let me explain with an example. When you want to make cooking easier and quicker at home, what do you do? You buy handy appliances like a grinder. It makes the process of grinding herbs and spices more efficient, thus making life more convenient. Likewise, when you have a foot problem during pregnancy, you have to pay a visit to a podiatrist. Without one, dealing with foot pain might become tough and quite frustrating too. Pregnancy feet hurt but not swollen; if you can relate to this, then you should know that there’s nothing to worry about. But at the same time, not doing anything about it can lead to a severe problem. Why put up with foot pain when you can just as easily avoid it! And at such times, your doctor will have the best professional treatment options to offer. There’s a huge difference in your body when you’re expecting. The sooner you realize that, the better it will be for your health. Slowing down and accepting the changes accompanied by pregnancy have powerful effects on the body. So don’t think twice before replacing those heels with flats or shoes. Because your feet require maximum arch support to keep the pain away. For swelling, you can place a pillow or two under the feet. This keeps them elevated, thus enhancing blood circulation. You can also apply some ice on your feet for 15-20 minutes to reduce inflammation. How I cope with pregnancy foot pain? Now you know how to deal with foot pain during those crucial months of your life. It’s important that you take precautionary measures instead of not doing anything about it. And that’s because, at the moment, it might not feel like such a big deal. But it can lead to the development of more severe foot ailments such as plantar fasciitis. So let’s make pregnancy more enjoyable and fuss-free! Please don’t forget to leave your opinion and views in the comments section below. Do you have any other effective treatment methods to share with us here? I hope the article was interesting and informative to read. And I hope you come back again for more information on pregnancy and motherhood. Barbara Davis is the creator of Mom Trusted Choice. 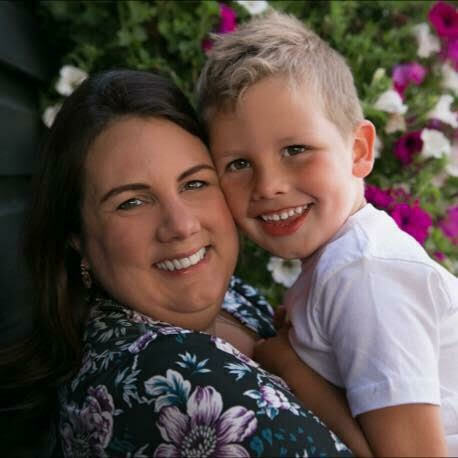 She is a mother and blogger who has successfully managed to curate interesting and useful articles about important topics like pregnancy and motherhood. Apart from providing well-researched information about various products, she shares her personal experiences as well. This is her strategy to make the content feel more relatable and practical for her readers. Hello Laura, Foot pain is very dangerous while pregnancy. As a pregnant woman, this blog is too much helpful for me. Thanks for sharing such a helpful blog. Great information. My wife too suffered from foot pain during her last pregnancy. I have plantar fasciitis and I couldn’t imagine having to deal with that and being pregnant at the same time. Thanks for sharing your story. The foot pain during pregnancy is just too bad, I saw my wife struggling through it. Thanks for sharing the exercises it will definitely help others , and i will also share your blog so that nobody has to feel the pain what my wife has gone through.